Religious Matters Mufti Mudassir Ovais fatwa@icfbayarea.com Spiritual and Religious related questions. Operations Owais Khalid / Hammad Syed operations@icfbayarea.com All ICF Operations, Facilitity Usage, Programs Approval, etc. 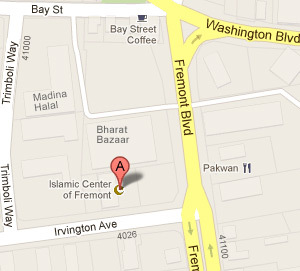 Facilities Abdul Aleem facilities@icfbayarea.com Facilities related questions & concerns related to both buildings.